As a teenager in the 1970s I devoured science fiction during a time when most of it was written for adults. The best books placed believable characters in fully imagined worlds and presented them with challenges far outside of normal experience that they responded to in all-too-human ways. Frank Herbert's early "Dune" novels are probably the finest example of this, as is much of Robert A. Heinlein's extensive output. These were philosophically mature works that found their way into the hands of young readers of the time and changed the way we saw the world. This has long since changed. Science fiction, once considered kids' stuff barely above comic books by adults, is now mainstream, much of it written specifically for kids. As a recent release from two Alaska authors demonstrates, efforts aimed at adolescent readers can brim with adventure, but the memorable characters like "Dune's" Paul Atreides and Valentine Michael Smith of Heinlein's masterpiece "Stranger in a Strange Land" are harder to come by. 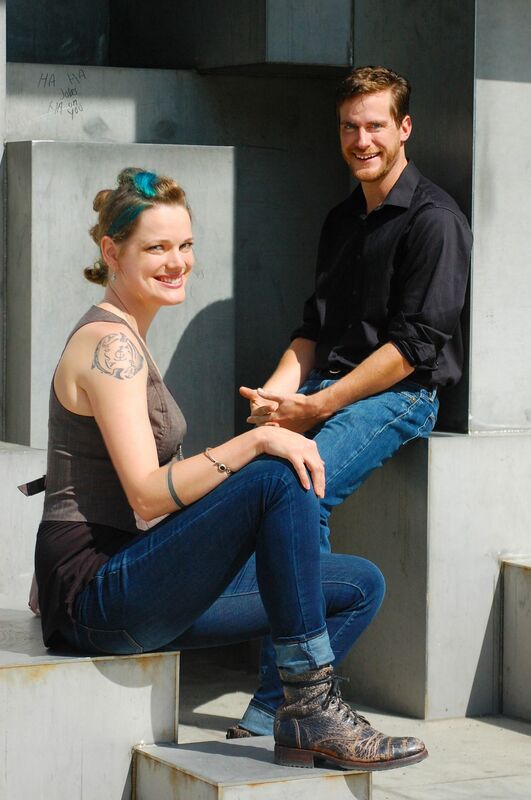 "Shadow Run" is the debut work of Palmer-based AdriAnne Strickland and Michael Miller. It opens on the planet of Alaxak, an ice-ridden backwater where residents scratch out a living harvesting what is called "Shadow," a mysterious force found in certain corners of the galaxy. Little understood, Shadow is mostly used as an energy source for cutting-edge technologies, although its potential is seen to be vast. It's highly unstable and long-term exposure to it is lethal, driving people who traffic in it to madness, although not before some of them acquire remarkable powers over physical reality. The plot commences when Nevarian Dracorte, a young man on the brink of adulthood, gets hired for the crew of a Shadow harvesting ship captained by a teenage girl named Qole Uvgamut, renowned as one of the galaxy's finest pilots. Qole comes from a family of Shadow collectors, all of whom, apart from her brother Arjan, have died from exposure. Qole herself is infected by Shadow, which causes her eyes to turn completely black during periods of stress. As the story progresses, we learn that Nevarian, who goes by Nev, is crown prince of one of galaxy's most powerful royal families. He's been sent by his uncle to kidnap Qole and bring her back to his home planet of Luvos to be studied in hopes of discovering how to make Shadow safe so it can be used for the betterment of all. Or so the claim goes. It's a given that the reality will prove more complicated than even Nev understands, but first we need to have some good old-fashioned space opera, meaning high-speed battles between starships and hand-to-hand combat employing a science fiction version of swordplay. It's all quite stereotypical of the form, but this is part of the reason why we read science fiction, and Strickland and Miller pull it off well. The authors create a well-realized universe within the rules of science fiction, which means suspending enough belief in the laws of physics to make it happen. We learn there had once been a universal civilization wherein instantaneous interstellar transportation had been possible via what were known as portals. These had abruptly closed some centuries earlier in an event known as the Great Collapse. Subsequent generations had mastered travel at faster-than-light speeds and powerful families including Nev's had risen from the ruins of civilization, building massive wealth. But the glory days were over. This employs another science fiction mainstay, interstellar societies structured like medieval kingdoms following the collapse of Rome. Again this is standard stuff, but why mess with a formula that works? The story careens from Alaxak to Luvos with a good chase by a rival royal family also intent on kidnapping Qole. Once it reaches Nev's home planet there's a betrayal to be had by one family member, and then a plot twist that sends the entire thing in a direction I would not have predicted, a necessity for any good action story, regardless of genre. I don't want to give away too much, but as an adventure tale, this is quite fun. It does draw heavily from other sources (Shadow is reminiscent of spice from "Dune," and Qole's ability to use it in ways nearly as destructive to herself as to others recalls the character Phoenix from the X-Men, to name two obvious examples). But for kids, this will be mostly new. What's missing are the strong characters that drive the best science fiction. The authors have written this book in alternating first person voices of Nev and Qole, and the result is disappointing. We know they're going to fall in love, but the narratives fail to create the chemistry to make their developing relationship seem genuine. As I read the book I couldn't help feeling that had it been written in the third person it would have lent both major characters more ambiguity, which would have made them more intriguing. This point was driven home by the role played by Basra, an energy trader and seemingly supporting character who becomes critical to the story's climax. Because our insight into his motivations and background is limited, he emerges as the most interesting of the book's numerous players. Nev and Qole, by contrast, seem pretty simple and one-dimensional. Their explanations for the difficult decisions each have to make lack complexity. I can't see kids connecting with them on a personal level. That leaves us with an entertaining story but nothing groundbreaking. Superb science fiction continues to be produced, and hopefully today's kids will find their way to it — as well as to the genre's classics. But where the best young adult books are equally enrapturing to adults (think Philip Pullman's "His Dark Materials" trilogy), "Shadow Run" is strictly for kids. It works as what it is, but not as anything else. It's quick escapism and nothing more. David A. James is a Fairbanks-based freelance writer and critic.